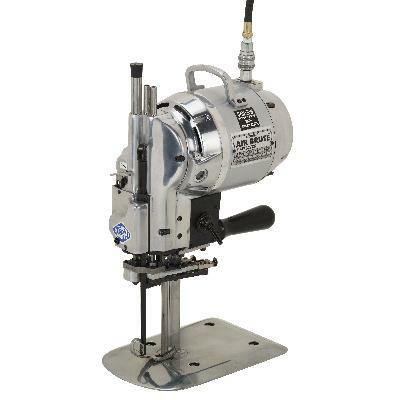 Similar in design to Eastman's Brute®, the Air Brute® is a lightweight pneumatically-powered cloth cutting machine perfect for cutting intricate patterns and straight lines. The air power allows for seamless cutting in a damp environment, where an electric powered machine cannot be used for extreme dust and fiber laden conditions. (inches): 5", 6", 7", 8"
(inches): 3.5", 4.5", 5.5", 6.5", 7.5", 8.5", 10", 11.5"